Hey there! 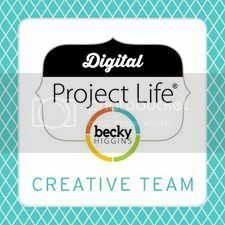 Monday means I have a new Digital Project Life kit to show you. This week’s Digital Project Life release is the lovely Azure Edition. 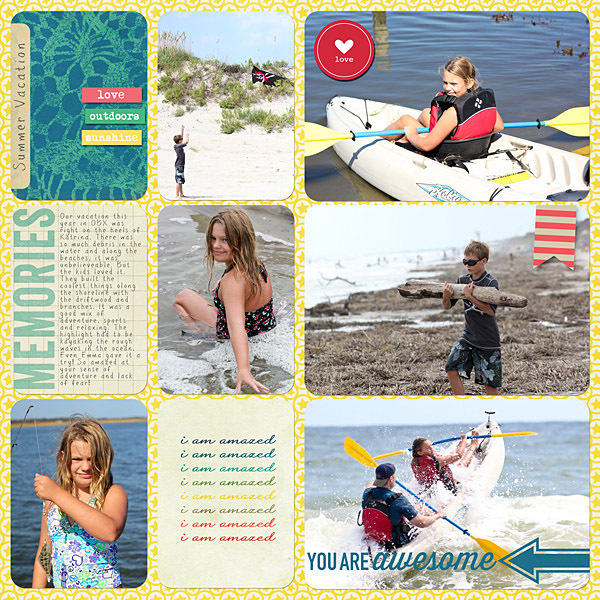 It is bold and playful, and I found it to be the perfect pairing for some summer vacation photos. Remember, as always … it is on sale for the week at DigitalProjectLife.com. 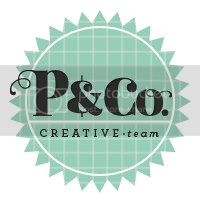 Go check it out … along with the Creative Team’s lovely pages. There’s tons of inspiration over there for this kit! 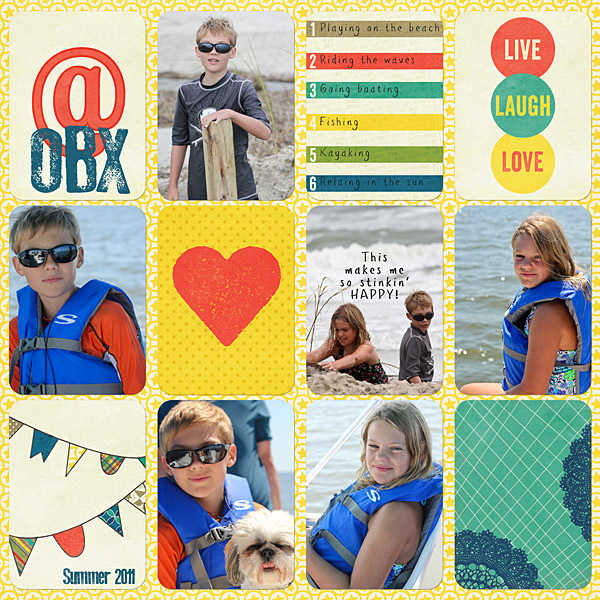 And the font for the OBX over @ filler card is Old Press … it has a fun stamped look. Font on the Memories JC is Pencil Pete.